Membership Levels. This is an annual membership with automated credit card renewals. $500 - Osprey - An awesome rotating wing airplane. Help advocate for the next generation of STEM innovators. I understand that I must provide a unique, working email address for each membership. I understand that if I use the same email address for an additional membership, I will only receive one membership package. I understand this is an annual membership and my credit card will be automatically charged each year for renewal. I understand that to cancel this membership, I can email hello@starbirdmn.org anytime during month 6-12 of my membership. Yes, I understand my credit card will be automatically charged each year to renew my membership. I give permission for this automatic charge to occur. I understand that my email address may be used for any Starbird Association communication including updates on events, fundraising requests, blog updates, online store promotions and any other item related to the Starbird Association. By submitting this form, I agree to allow the Starbird Association to use my email address for their communications and marketing efforts. I understand I can be removed from Starbird Association email lists by replying to any Starbird Association email with the word REMOVE, emailing hello@starbirdmn.org asking to be removed, or by using the unsubscribe link in the email. 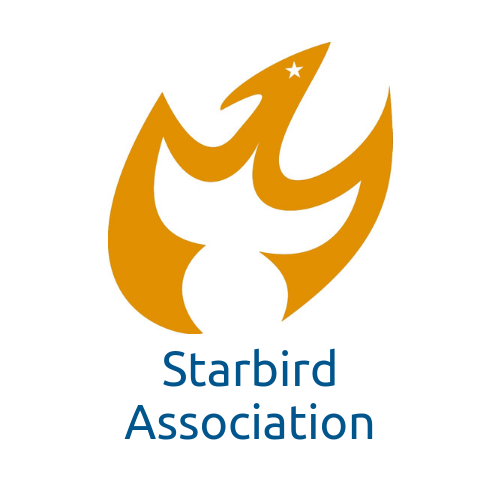 The Starbird Association is a volunteer driven, grass roots nonprofit. Managing a membership program requires a lot of resources and customer service. We do not have the ability to offer refunds for persons who do not cancel a membership before renewal or other issues. Please read the statement below and check that you understand our refund policy and cancellation policy. Yes, I understand that the Starbird Association does not issue refunds for automatic renewal charges. I understand I must cancel before my renewal date by emailing hello@starbirdmn.org before my membership renewal date.